Backed by the profound experience of the industry, we are engaged in manufacturing, supplying and exporting Ferrite Core Toroid Chokes. Offered toroid chokes are manufactured by using modern machines and optimum quality material obtained from the trusted vendors of the market. All the production stages are strictly supervised by our experts, so as to develop premium quality products. 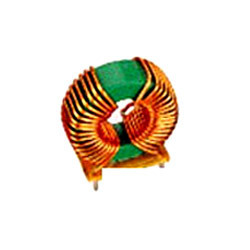 We also offer these toroid chokes in customized range as per the requirements of the customers. Abiding by the ethical norms of the industry, we are engaged in manufacturing, supplying and exporting Ferrite Rod Choke. Offered ferrite chokes are manufactured in compliance with the norms of the industry and so for the reason highly appreciated by the patrons across the region. With an aim to meet the demands of the customers, we also offer these rod chokes in custom-built range. Our organization is counted among the prestigious manufacturer, supplier and exporter of Toroidal Choke. While manufacturing these toroidal chokes, our professionals strictly follow the guidelines of the industry. Along with this, our professionals make sure to use optimum quality material obtained from the authorized vendors of the market. 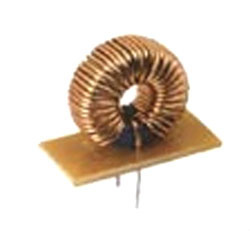 We also manufacture these toroidal chokes as per the specifications provided by the customers. 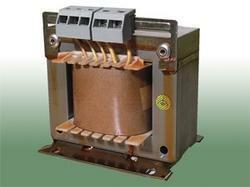 We hold expertise in designing and developing remarkable Single Phase Chokes / Reactors. 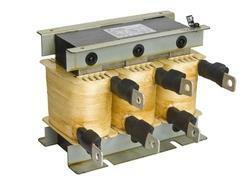 We have made these products available in different specifications that can Customised as per the requirements. 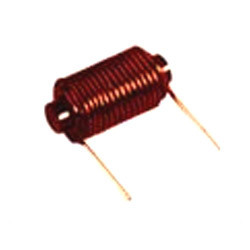 Looking for Ferrite Core Toroid Chokes ?